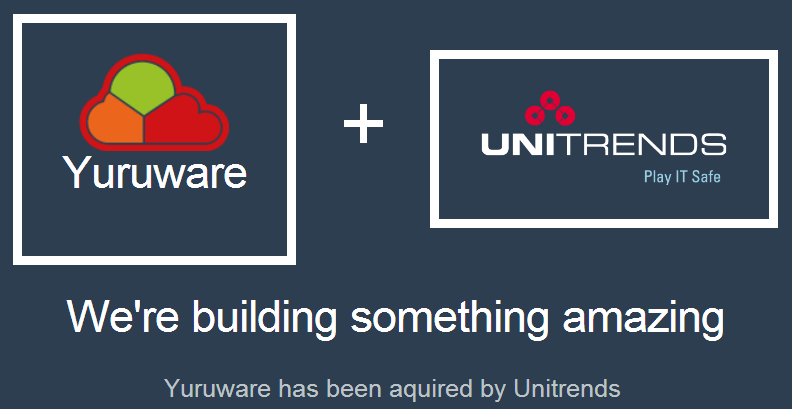 Acquisition of Yuruware technology enables Unitrends to extend its hyper-scale cloud offering! Unitrends, the industry’s fastest-growing multi-environment data protection and disaster recovery company, today announced that it has acquired Yuruware, an Australia-based innovator of data protection technology for Amazon Web Services (AWS), OpenStack and other public clouds. Financial terms of the transaction were not disclosed. With Yuruware’s technology, Unitrends will extend the company’s core backup and disaster recovery offerings to third-party public clouds such as AWS, OpenStack and Microsoft® Azure. The move will enable customers to not only protect physical, virtual and converged systems in hybrid clouds, but to quickly recover their IT infrastructure in multiple environments as well. Unitrends acquired Yuruware from NICTA, Australia’s Information and Communications Technology (ICT) Research Centre of Excellence. NICTA’s primary goal is to pursue high-impact research excellence and, through the application of this research, create national benefits and wealth for Australia.